Welcome to Tuttle Click’s Capistrano Ford dealership in San Juan Capistrano, CA. 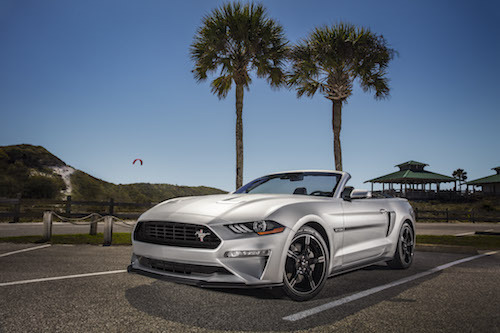 Our Southern California Ford dealership offers a wide selection of new Fords for sale or lease, including the Ford EcoSport, Edge, Escape, Expedition, Explorer, F-150, Fiesta, Flex, Focus, Fusion, Mustang, Super Duty, Taurus, Transit and Transit Connect. We offer convenient Ford financing, factory incentives and special offers. Our Ford finance center can help you find the best pricing and arrange affordable monthly car payments. Our Ford dealer inventory also includes a variety of used cars for sale. We offer a wide selection of used Ford models, many of which are certified pre-owned cars and trucks. For anyone on a budget, buying a Certified Used Ford is a best way to get a reliable, low mileage vehicle at a reduced price. Our used car sale team can help you find pre-owned vehicle specials and extra savings on used cars and trucks near you. If you are looking for Southern California Ford service, our service center is available for oil changes, tune-ups, wheel alignment, battery replacement, brake repair and much more. We use genuine Ford Motorcraft parts to keep your car, SUV or truck running its best. Our Ford service and parts departments also offer specials and service coupons to help you save money. Search our SoCal Ford dealer inventory to see listings of new cars and used vehicles near you. Our Ford dealership serves Southern California communities in Orange County, San Diego County and the surrounding Los Angeles area. Our customers come to us from San Juan Capistrano, Laguna Niguel, Dana Point, Laguna Beach, Mission Viejo, Ladera Ranch, Rancho Mission Viejo, San Clemente, Encinitas, Carlsbad, Rancho Santa Fe, Aliso Viejo, Foothill Ranch, Lake Forest, Laguna Woods, Irvine, Costa Mesa, Rancho Santa Margarita, Tustin, Fullerton, Placentia, Del Mar, Stanton, Cypress, Anaheim, Garden Grove, Long Beach, Cerritos, Westminster, Buena Park, Brea, Santa Ana, Newport Beach and Huntington Beach, California.